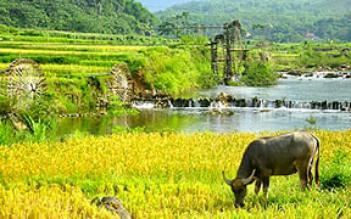 Mai Chau - Ninh Binh Adventure 4 days - There are a lot of interesting places worth visiting during this exciting trip. The first stop is Mai Chau, which gives tourists a chance to learn about hill tribe people’s lives and the beauty of landscape. Then come to Cuc Phuong National Park, home to various fauna and flora. The tour concludes with the visit to Tam Coc cave and Hoa Lu ancient capital, which offers the travelers fond and unforgettable memories. 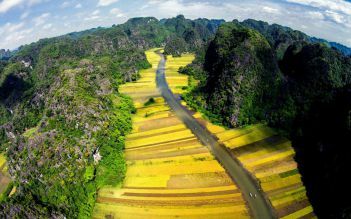 In the morning, tour guide and driver will pick you up at your hotel at 8:00 and transfer west to Mai Chau (140km) surrounded by a green valley, stilt houses and many minorities. Arrival in Mai Chau, trek to Lac and Pom Coong villages, to see the unique product of Thai and experience their daily life. Enjoy dinner with the local. Overnight home-stay in the village. Free time before transfer to Cuc Phuong National Park where take motorbike to visit Muong ethnic minority village in the center of Cuc Phuong. 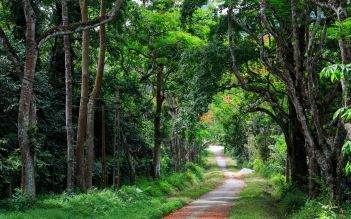 After breakfast, commence the day of trekking, trek through the dense, grass jungle valley to the giant ancient tree where enjoy the beauty of fauna and flora. Then visit the Endangered Primate Rescue Centre. Then drive to Ninh Binh Town. Overnight at hotel in Ninh Binh town. Transfer to Tam Coc, known as Vietnam’s “Halong bay on land”. 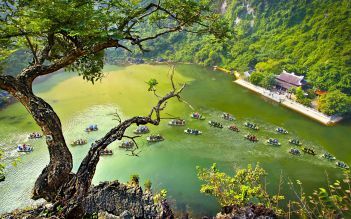 Take a sampan ride to visit three enormous caves and view local fisher and explore the village along the river. 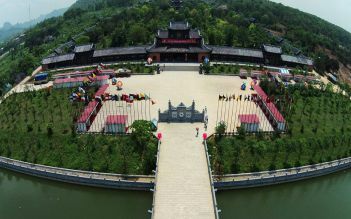 In the afternoon, visit Hoa Lu, an ancient capital of Vietnam (968 – 1009) and the temple of Dinh and Le Dynasty then return to Hanoi. Drop off at your hotel upon arrival. Tour concluded. 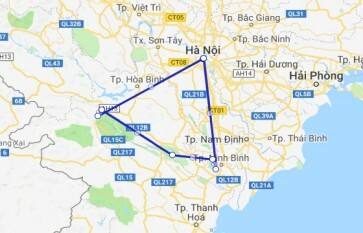 There are a lot of interesting places worth visiting during this exciting trip.the first Mai Chau and Cuc Phuong.... And We also tasted some special food which had only in Vietnam such as rice cooked in bamboo. Travelling by boat along the river in Tam Coc was so exciting too. I saw lots of beautiful sights and took some photos when visiting to Cuc Phuong national park and some caves in Tam Coc. What a valuable experience!